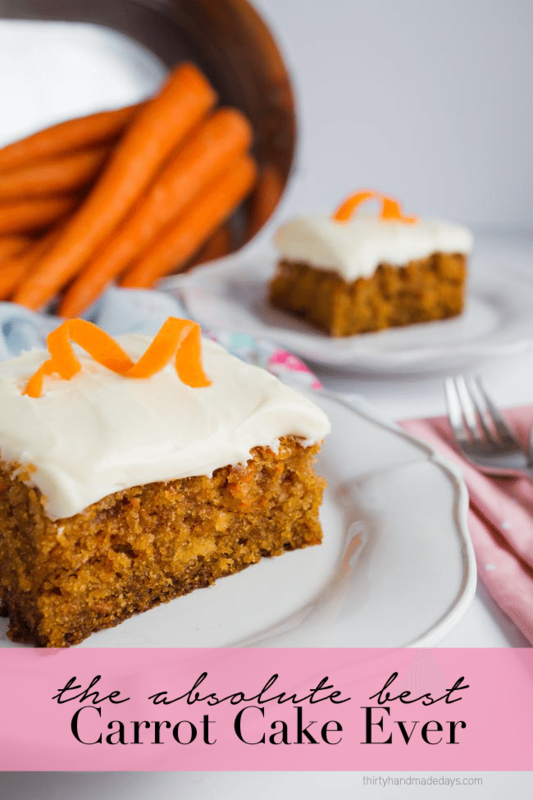 Mom’s Carrot Cake – the Best Ever! 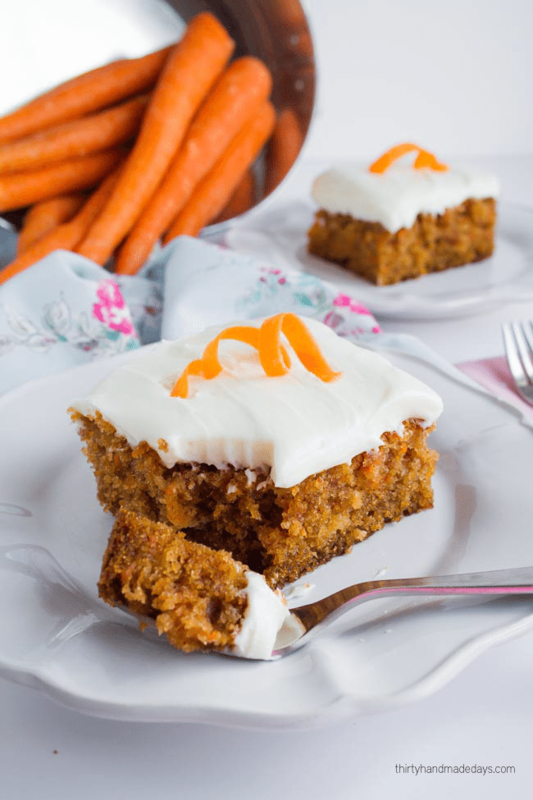 I got this recipe for Carrot Cake from my mom years ago to make for Easter. I have made it every year since (unless Mom was hosting ;). It’s the best best best ever. So moist and delicious! It takes some work- but easy if you follow the directions. And it’s well worth the effort. 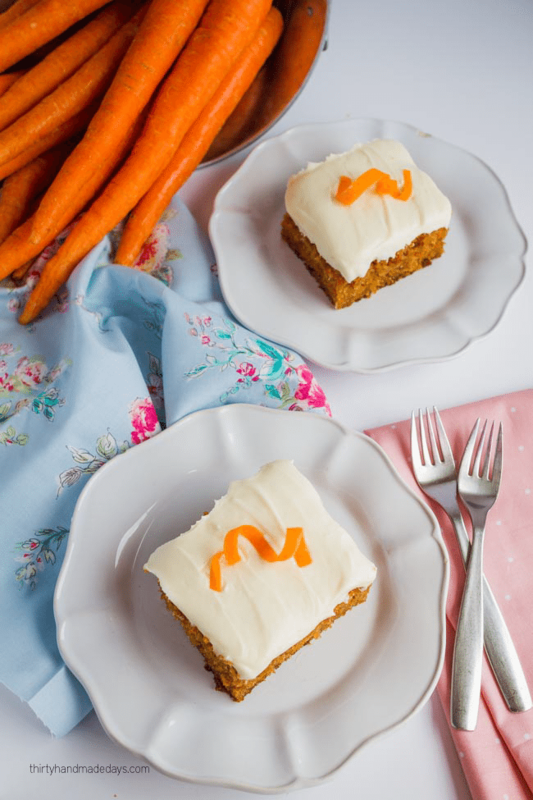 Mom's Carrot Cake - the Best Ever! 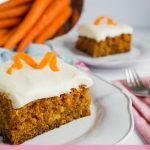 Mom's Carrot Cake (Karrot Kake) - the best, most moist carrot cake you will ever eat! 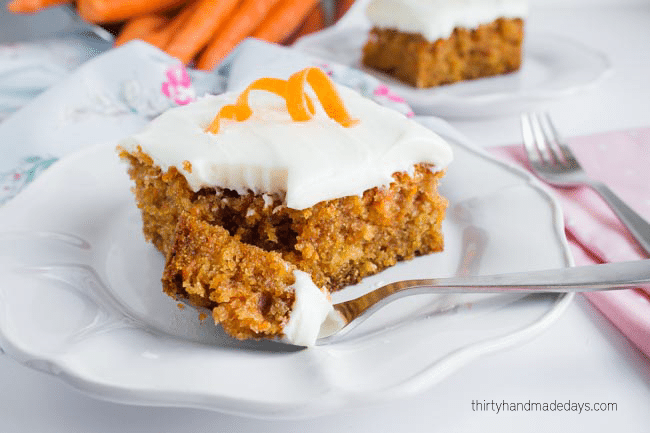 Beat carrots, sugar, flour, eggs, veg oil, and softened cream cheese together. Add baking soda, salt, cinnamon, vanilla, applesauce and (optional) chopped nuts. For an even more moist cake, add one small can of drained crushed pineapple. Bake in a 9X13 greased and floured pan @ 350 for 55 minutes, or until clean toothpick. Add powdered sugar, milk, and vanilla and beat until smooth. There are two optional ingredients- nuts (I use walnuts) and one small can of crushed pineapple. The crushed pineapple makes it even moister and gives it a little added taste. Oh and this recipe has no raisins, but you can add them if you want! If you make this cake- awesome! But if you want to share it, please link back here instead of posting the recipe and/or directions. Thanks so much- enjoy! Food styling and photography courtesy of My Name is Snickerdoodle. Hello mates, good post and pleasant urging commented at this place, I am in fact enjoying by these. This looks like an amazing recipe! Does it make enough batter for a layer cake? Can’t wait to try this cake! Just wanted to let you know that I included your project in my weekend “link love” post for today! Yum! I can’t wait to try this recipe! Did you use a round cake pan for your cake? Hi there- yes I used a round cake pan for my cake. Enjoy!